Reclaimed Dining Table and 4 ChairsÂ for family meals and entertaining friends. 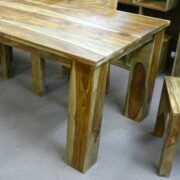 Small 120x80cm dining table with a solid thick top, and square legs. 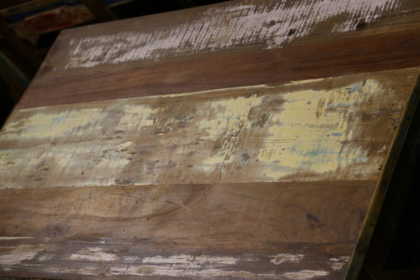 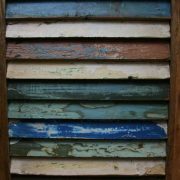 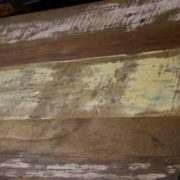 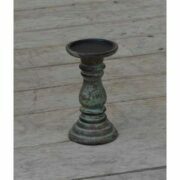 It has a colourful, roughed up, distressed effect top, and painted in warm reds, blues, greens, creams. 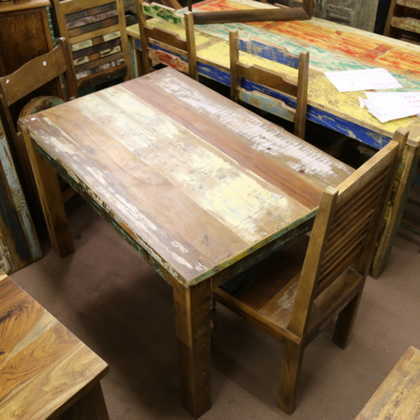 It’s ideal as a kitchen table or in a dining room. 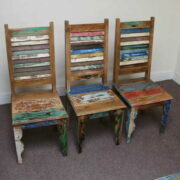 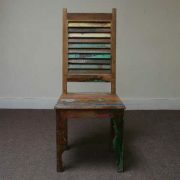 Includes 4 shutter style back reclaimed chairs. You can view the chairs here. 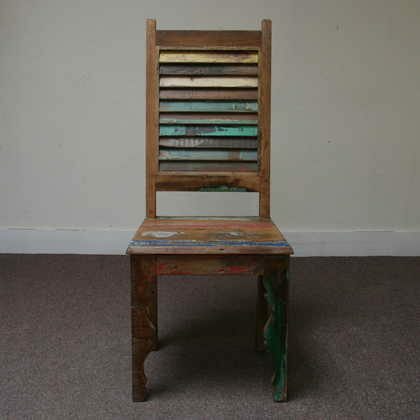 Handmade in India from reclaimed wood, we call this style Shabby Raj – a distressed painted look in reds, greens, blues and creams that’s more colourful, warm and fun than the neutrals of shabby chic, and that reflects the colours and culture of Rajasthan, India.